- Black mask sheet containing the best charcoal, bijangtan charcoal giving a fresh and clear skin. - Charcoal and ash ingredient rich in minerals improves moisturizing effect for watery skin. 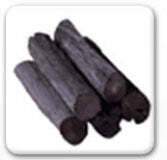 - Charcoal ingredient absorbs skin wastes for clear pores. - Controls keratin for a smooth, bright skin.